Tiffany spent so much time partying at Chicken Bones we figured we may as well give her a job. She is a lifelong resident of mid-Missouri and an overall party expert. Her partying expertise made her the perfect fit in Uranus where she now handles marketing and party planning for Chicken Bones. 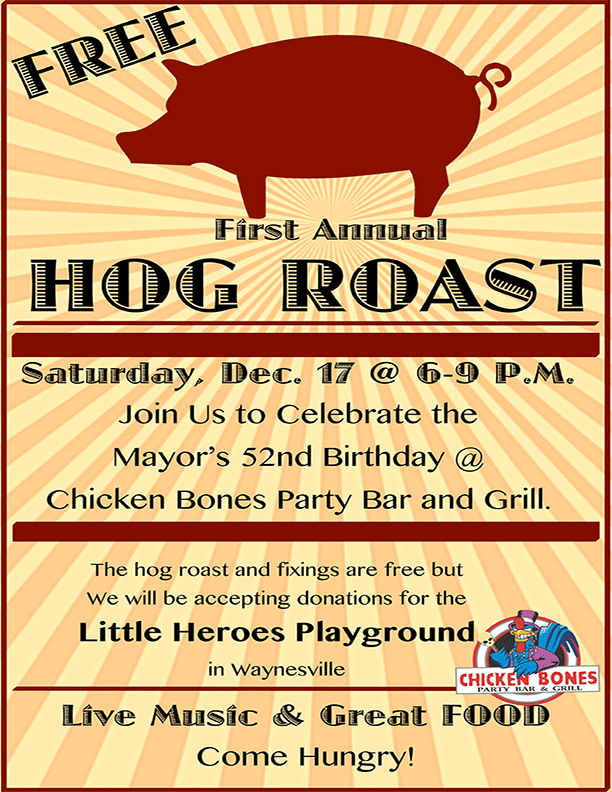 1st Annual FREE Hog Roast for Charity!